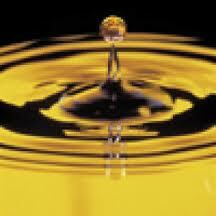 Some people in the industry refer to spent cooking oil as WVO or Waste Vegetable Oil. 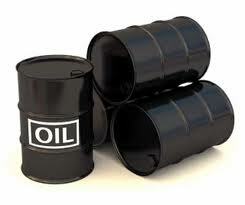 Others including, Green Oil Solutions, prefer to use UVO or Used Vegetable Oil. In the mindset of the three R’s we do not see any resemblance to waste in recycled cooking oil. UVO is a growing industry in the Florida and the rest of the country. This “waste” oil is valuable enough for people to risk jail time by stealing. Indeed it routinely trades on the commodities markets after it has been processed and refined for around a few dollars a gallon. Aside from a stock oil for bio diesel, it is sold to chicken feed producers, fertilizer manufacturers and by the large tanker load to countries overseas. I did a search on Google of used and waste vegetable oil companies and was able to identify about a half dozen that had an internet presence. I am aware of at least one-half dozen more and most of them claim to be collecting to make local bio diesel here in the state of Florida. As much as I hope that to be true, there are several markets and opportunities to sell UVO out of the state and country for a variety of purposes. Most operations that are nearing commercialization are able to collect and process over 10 thousand gallons of UVO per month or more. Some are doing much more. But for the sake of argument, 12x10k is 120K/m which equals 1.4 mil gal/year. That is barely enough to keep a commercial bio diesel plant in production. Most small plants are 3-5 mil/year and the larger ones are planned for 20-30 mil/gal/year. In other words there is a high demand for UVO. It is Green Oil Solutions primary raw product. That varied demand is why we have recognized the need to stabilize the UVO market and explore other feed stock or fuel stock possibilities. Knowing that a large bulk of UVO is sold outside of the Florida market, Green Oil Solutions is actively working with Florida businesses to identify and contract for several thousand sources of UVO. It is our goal to keep our economy local and to help ensure that we convert as many resources as possible to the production of domestic bio fuels which of course lessens our dependence on foreign and fossil fuels. Help us revitalize Florida and the larger US economies by making sure your favorite restaurant recycles their UVO with a company that guarantees the economy stays in Florida or the very least the US. Don’t let your UVO turn to WVO by allowing it to leave the country.